This chapel (measuring 36 ft x 21 ft) was built in 1839 at a cost of £596 by Independents who formerly worshipped at Plealey and at Minsterley Independent chapel. It held its opening service on Christmas Day 1839. The chapel is at the centre of the range, with a Sunday School at one end and the manse at the other end, and had its own burial ground. In 1851 it had seating for 178 worshippers. On Census Sunday 30 March 1851 there were 86 at their afternoon srvice and 29 at their evening one. In addition, the Sunday School had 45 children at their morning meeting and 38 at their afternoon one. The chapel was renovated and enlarged in 1871, and a plot of land for burials purchased. 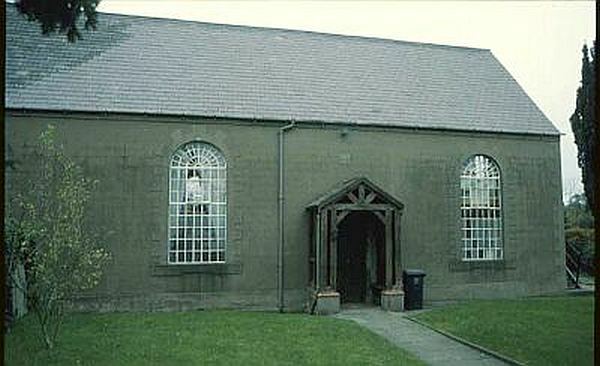 It is still in use as a Congregational chapel in 2017. Grid ref: SJ 396062. For a photograph of the chapel taken in the late 19th century, click here.